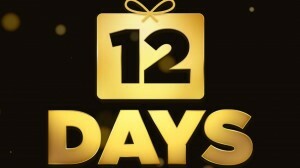 Old and new Apple customers alike will be happy to hear that the 12 Days of Gifts promotion is once again in effect. Apple’s annual holiday promotion will provide users with free content in the form of music, videos, and apps. The free content will vary by a user’s location and a new free download will go into effect each day for people that have the 12 Days of Gifts application downloaded onto their iPhone, iPod, or iPad. Even though the content that is made available each day will only be offered for 24 hours, users that pick it up will be able to download it onto their other devices in the future since the apps, music, and videos will be tied to an account and not to a single device. To kick it off, Apple has made Justin Timberlake’s live single consisting of two tracks and two videos the first free download, allowing people to at least save a few dollars on the first day and for people that are not interested in today’s offering, there are still 11 days left. Apple will likely see a lot of new customers take advantage of the 12 Days of Gifts promotion considering that an analysis of this holiday shopping season showed that the Apple iPhone was the most requested item, followed by Sony’s new Playstation 4. If you download the 12 Days of Gifts application to any iOS device, it will send out push notifications when a new deal has started, ensuring that users do not miss out on any of the music, videos, or apps this holiday season. Based upon previous promotions, Apple generally includes a few $0.99 throwaway applications in the mix but then offers more expensive downloads for the rest of the days. Whether or not that will be true for this year’s 12 Days of Gifts has yet to be seen but customers are likely hopping that they can download something that is at least somewhat worthwhile. The 12 Days of Gifts application itself is decked out with iOS 7 stye icons but other than that, there are very few things included within the app other than the View Gift button which will show the day’s download.